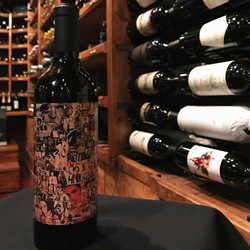 This week's feature is the 2016 Orin Swift 'Abstract'. A wonderful blend of Grenache, Syrah and Petite Sirah, this wine is not shy! On the nose, aromas of dark, juicy fruit lead the way followed by a touch of savoriness. On the pallet, the wine has an exceptional balance of deeply concentrated fruit while maintaining its velvety and smooth structure.